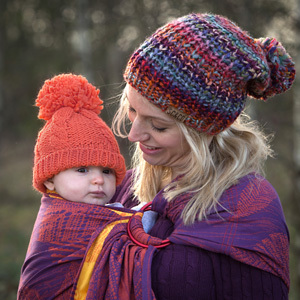 Categories: Ring Slings, Starling Murmuration, Woven Wraps. Hundreds of thousands of starlings turn the sky black around the UK, in a spectacular show that everyone should see at least once in a lifetime. Throughout the autumn and winter months, the birds come together in huge clouds, wheeling, turning, swooping and plunging in unison. We have been working on our finishing process to bring you a new baby soft finish. 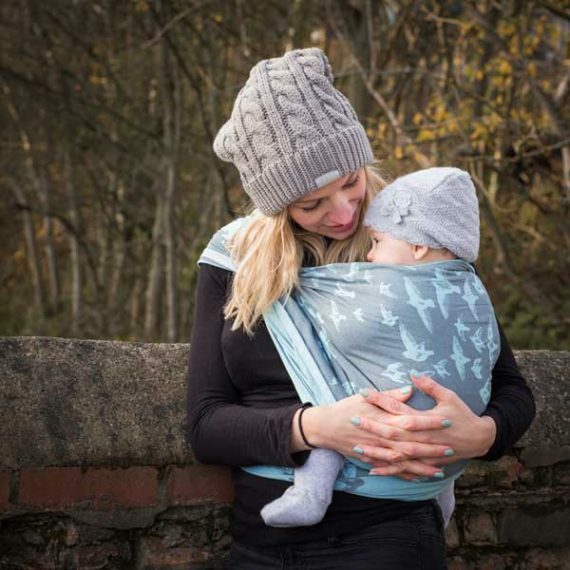 Soft from the moment it arrives it still has our exceptionally hard wearing, pull resistant, immensely supportive cotton and our wonderfully grippy weave. We know you will love the new softness and drape of our feather soft finish which will now be standard on all our woven wraps. 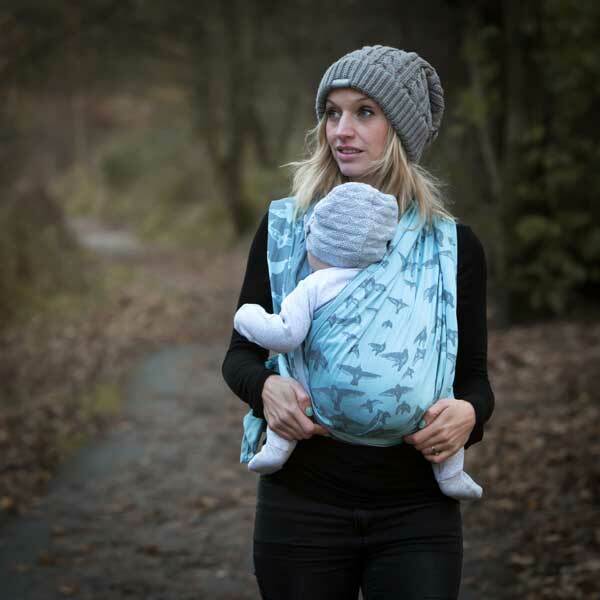 How fitting that Starling Murmuration is our first feather down soft release. Frosty Mist was inspired by starling eggs and starling chick down. The delicate icy blue has tiny subtle speckles just like starling eggs. The chick down grey has a silvery quality, just like early morning autumn mist. I tested starling murmuration and can highly recommend it. It came lovely and soft and is really supportive, and I love how resistant it is to pulls. The design is beautiful and really detailed, and the weave has a beautiful sheen to it. We own one of these and it is amazing. It wraps lovely and looks great. 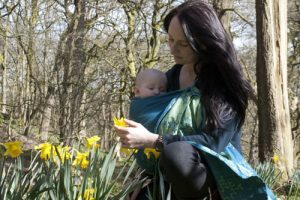 Shire slings are great, the passion for babywearimg is also great thumbs up. 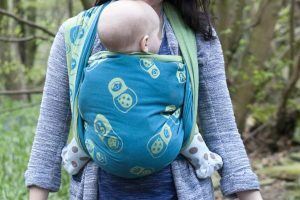 I just bought this as a ring sling. It is my first brand new sling so I can’t compare it to how another sling would be new. 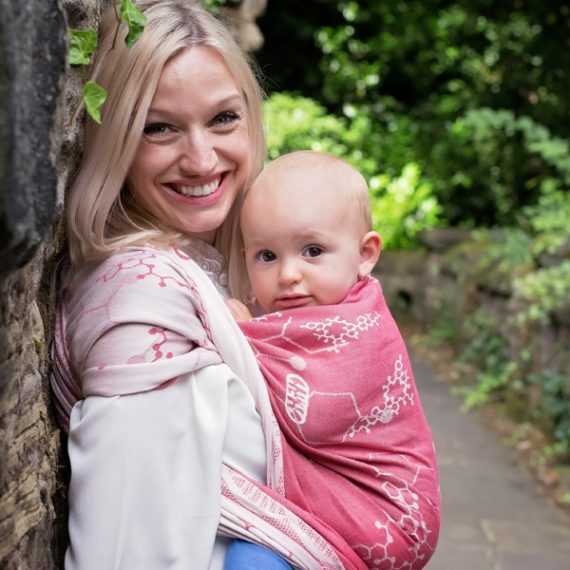 But the material feels nice and soft, I popped my daughter straight in and tightened it up with no problems and she was nice and cosy in it. 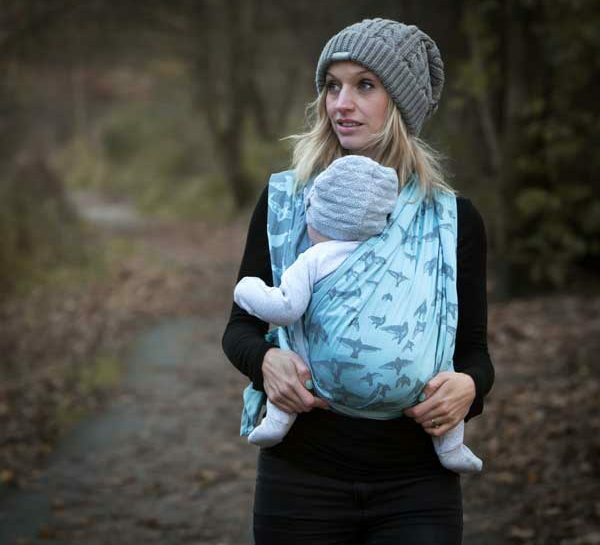 I love the pattern, I went for this sling because I think the birds are pretty for my little girl but the blue would make it fine if we had a boy in the future. A gorgeous sling- I’ve only had it a week, but it’s been used nearly daily and washed twice already. Really easy to take care of. A ruck was really comfy on the shoulders, and my 6-month-old has been really happy in it in a side carry.